Wanderings and Ponderings: Lingering Christmas Album Giveaway! This Christmas season we are celebrating Advent as a family in a way we never have before. The Advent season is a time for expectant waiting and celebration in anticipation of the coming of our Lord Jesus. This is the first time I've really engaged my heart in the concept of waiting and anticipating. I find myself expecting miracles and rejoicing in the promises of God in a new way. I find myself resting and feeling and pondering and reflecting. In fact, that is my word for this season: Reflection. And this word has especially impacted my listening preference this Christmas season. My playlist is full of emotional, nostalgic, reminiscent carols and works that often bring tears to my eyes and sighs to my lips. I love allowing my heart to feel and to feel deeply. So when my friend, Karla Adolphe, started talking about making a Christmas EP a few months ago, my heart skipped and twirled at the notion of what could be. And, dear friends, she did not disappoint! Talk about waiting with great anticipation! As she started planning and producing, Karla shared on her blog about the process and kept her friends and fans updated on social media with teasers and tidbits that kept me on the edge of my seat. I was especially intrigued when she released the name of the album: Lingering. This so perfectly accompanies my posturing of reflection this season and I could not wait to get this in my ears and let my heart linger in the haunting beauty of Karla's voice and heart. 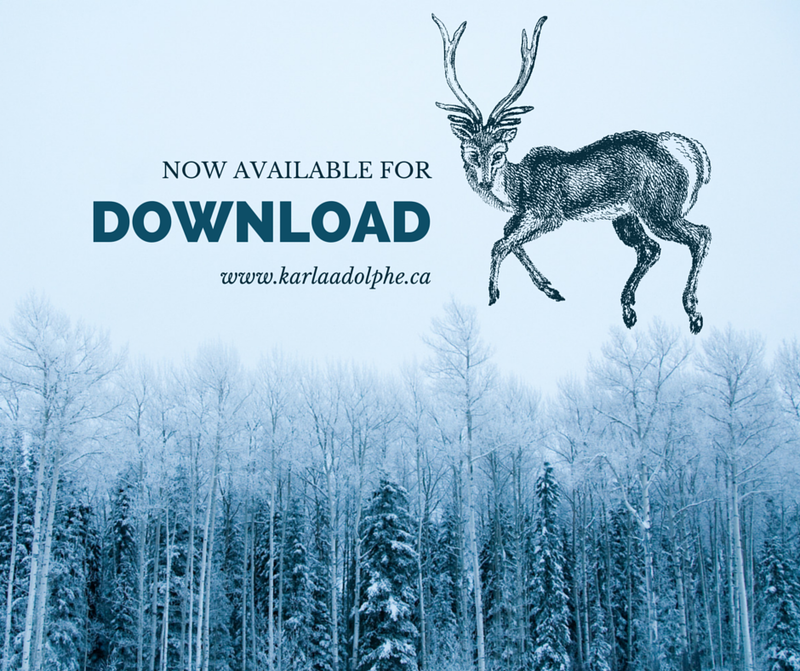 Karla released this 5 song EP on Monday, December 1, available to download for only $6! I passionately implore you to go download it right now and get it in your ears. All 5 songs on Lingering are downright magical! Four of them are some of my all-time-favorite classic carols and one is an original work that I adore. Truly, this woman is an artist! I am inspired and mesmerized by how she has taken liberties and added her own flare to the songs I love so much without losing the integrity of the melodies or the nostalgia of the music. Her original song, "All Your Glory," is raw and deep and stirs emotions in me I didn't know I wanted to feel. The way she uses words to express the deepest things in my own heart gets me every time. I am blown away by her talent again again and with this album she has raised the bar once more by playing every musical track you hear! That's right, she is the only instrumentalist on the album. I love the way she pushes herself and works to hone her craft. Her humility and genuine excitement are just beautiful reminders of what an amazing person and treasure she is. You will receive one entry for each of the following actions; you can enter up to 2 times on my blog and once a day on Twitter or Facebook. The winners will be drawn by random selection and announced on Wednesday, December 10, at 3:00 pm, MST. Comment on this blog post. I'd love to hear your thoughts, your favorite Christmas carols, what word you have for yourself this Christmas season, or a favorite Christmas memory! Share this blog post on Facebook or Twitter. Please be sure to use the hashtags #mackushlingeringgiveaway and #lingering in your post so I can keep track of your entries. My favorite is "O Holy Night." A close second is "O Come, O Come Emmanuel."